I wrote and edited this one years ago and it has been in the American Greetings Easter line ever since. 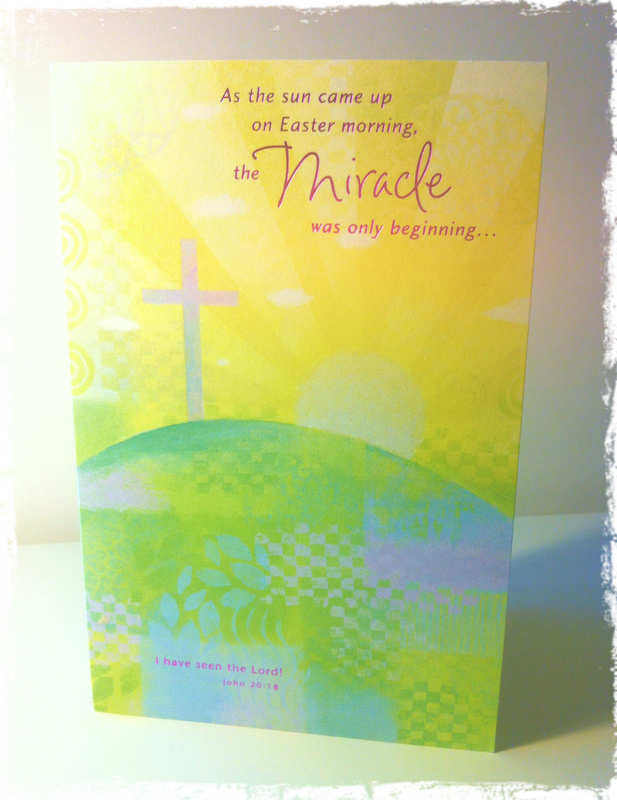 I was really inspired by the idea that Easter morning is the beginning of something amazing and miraculous. I like the simplicity of it all, too. It has a softness that’s really lovely and understated. So, I love the juxtaposition between these two verses. Mary has seen Jesus at the tomb. Thomas has seen as well. But Jesus is also telling us that it’s a blessing when we believe without being able to see first. Faith involves investing our hearts and lives in a mysterious and unseen world. That’s the beauty of Easter morning. It’s the miracle that began almost 2,000 years ago and that we still carry with us today.